The Victoria Big V have been part of the National Police Football Championship since it’s inception, and have been pivotal in establishing a long relationship between all teams. 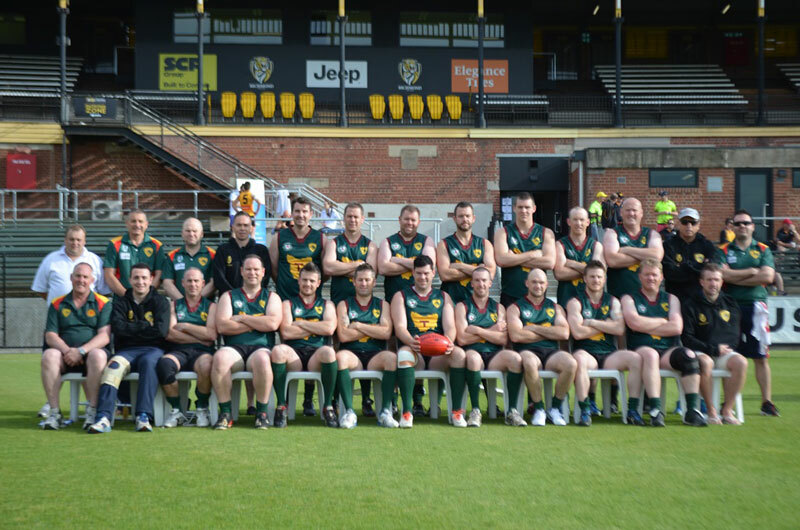 Having won 15 Championships, with a record 6 in a row 1998-2004, the BIG V have surely cemented their footy heritage into the Australian Police Footy platform. The SA Hounds Football Club was one of the inaugural teams to commence this competition and from the very start formed a fierce rivalry against Victoria. The Blood-Hound characterised with handcuffs in our logo represents the sleuth nature of policing. The team generated much interest in the early years and formed a cult following by some die hard players throughout the 90’s. Recently, the team has had some great success on and off the field, having won three Championships in a row and multiple Lewis / Allemand (Best player of the Championship) medallists. The team has had some long time support from Maxxia, Warradale Hotel, and Prime Sports sportswear. Participating in the Championships since 1992, the Hogs have sure made an impact to the competition. They usually field a very large contingent of players and supporters and are very hard to beat on their home turf. Having won 3 Championships now, as recent as 2015, they are keen to continue to put some great footy on the park. The Hogs are a very social group and have established long lasting business relationships with their sponsors and partners. They have also established a club room with an affiliated hotel. President | Ron ‘Houndog’ Adams | ron.adams@police.wa.gov.au. The Tasmania Police Football Club was founded in 1973 and for the first 14 years played an annual competition against the NSW Police Football Club. 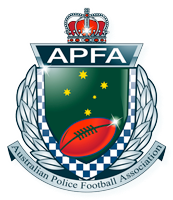 When the competition expanded in 1987, Tasmania remained involved and to this date we have not missed a National Police Football Championship. We have a strong history and are a proud football club. Tasmania Police has approx 1,200 sworn police officers, making us the smallest jurisdiction competing in the championships. Over the years we have played some outstanding football and managed to finish runner up in 2007 and 2012. A championship victory still eludes the Tassie Devils, but we will continue to travel and enjoy the comradeship that is shared with our brothers in blue from around Australia. While football is the centerpiece of every Championship, there is so much more to the best week of the year. We honour and pay respect to our fallen colleagues, we build strong relationships within our travelling group and make life long mates from across the country. Our unique occupation makes us close off field, but the on-field competition is always fierce and fair. The TPFC would sincerely like to thank our major sponsors for their support: The Ocean Child Hotel and Strategic Financial. Any new sponsors are welcome. For all TPFC enquiries please contact Sergeant Michael Glancy (michael.glancy@police.tas.gov.au or tpfc@police.tas.gov.au). The Heelers have been a part of the Championships since its inception and as a Rugby State they certainly are valour in their pursuit of Police Footy glory. Usually fielding a full contingent each year, they play a fair standard of footy. Unfortunately a Championship win eludes them but they give it a red hot crack on their home ground. Their best attribute is putting on a formidable Closing Ceremony in some of the best real-estate in the country. They have long lasting relationships with their sponsors and are always looking at ways to seek further support on and off the field. The Crocs were introduced to the competition in their inaugural championship in Brisbane 2004. Since then, they have fielding a side each year and built upon a good foundation year in year out. Always eager to put on a good show, the Crocs play a fair game of footy considering they play bridesmaid to the stronger Rugby affiliation of their State. While still establishing themselves, they have a wonderful opportunity with upcoming championships to bolster their numbers and support so they can grow in the future.